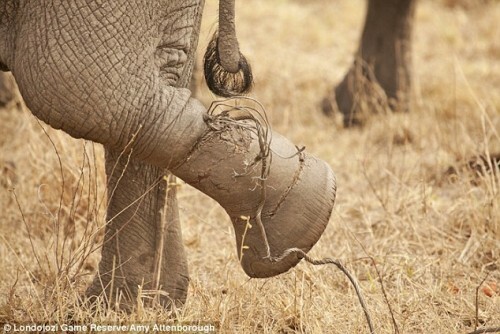 As the IFAW explains, the fences used to protect the Liwonde National Park are often exploited by poachers to create the snares that end up harming the park’s wildlife. Poorly maintained boundary fences are dismantled and the material used to make the traps. IFAW began a program in 2014 to improve policing and maintenance of the boundary fences, while also sweeping the park for existing snares. However, this effort came a little too late for one young animal.